The Dubai Marina Mall Tram Station is one of 11 stations on the Dubai Tram network. 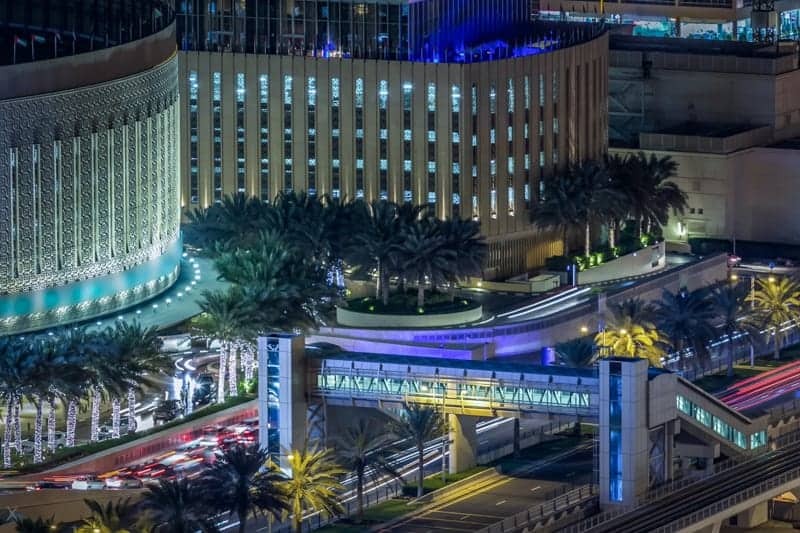 As the name suggests this station is situated next to the Dubai Marina Mall. The mall features a Waitrose supermarket, a 6-screen cinema, and the Pier 7 restaurant tower. There’s no direct access to Jumeirah Lakes Towers from here. To reach this area you can cross Sheikh Zayed Road via the bridge adjacent to Dubai Marina Tram Station/Dubai Marina Metro Station or the one at Jumeirah Lakes Towers Tram Station/Jumeirah Lakes Towers Metro Station. Reel Cinemas Dubai Marina Mall (0.1 miles) - Small cinema at the Dubai Marina Mall. 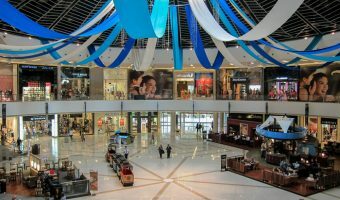 Dubai Marina Mall (0.1 miles) - Shopping mall at Dubai Marina. Shades (0.1 miles) - Terrace lounge and restaurant on the fourth floor of the Address Dubai Marina. Overlooks the hotel’s infinity pool and offers good views of the Dubai Marina. Live entertainment and DJs. Mazina (0.1 miles) - All-day dining restaurant at the Address Dubai Marina. Serves a variety of cuisines from around the world. Show kitchens. Friday brunch. Marina Social (0.3 miles) - Restaurant at the InterContinental Dubai Marina. Offers a British menu with Mediterranean influences. Led by Jason Atherton, a Michelin-starred chef that has worked with Gordon Ramsay. Friday brunch. Map showing location of Dubai Marina Mall Tram Station.